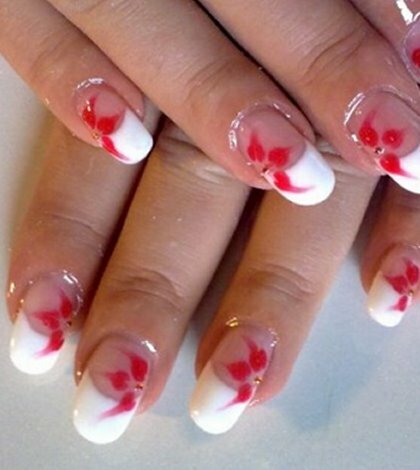 If you are looking for simple nail designs with a soft look, consider this design. This art can easily be created with white polish, a burgundy colored nail art brush and a file. 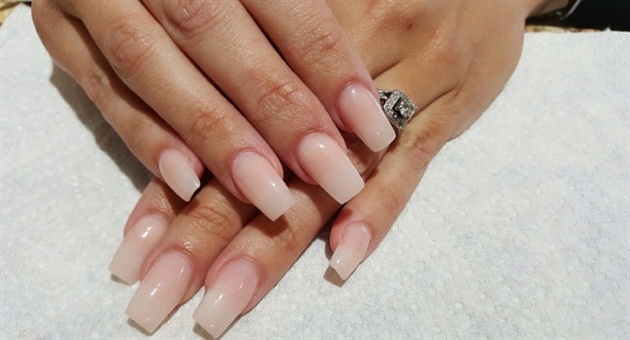 Simple nail designs are so popular because they enhance our natural nails. 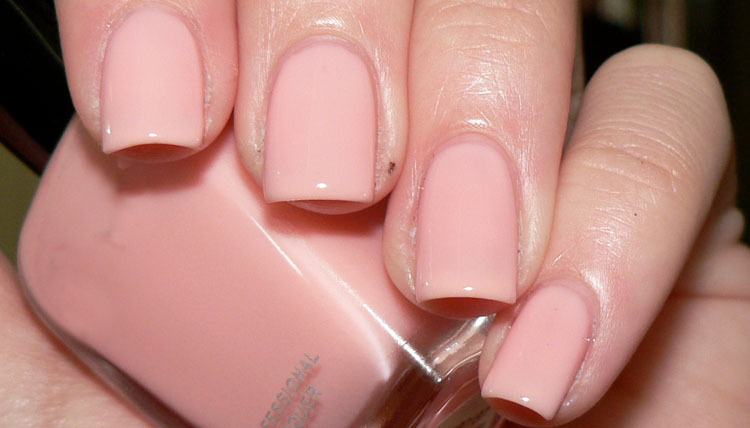 What makes this look so innocent is the color scheme, simplicity of design and rounded nail tips. 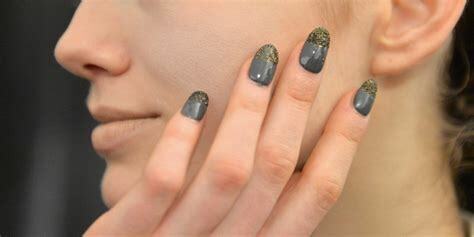 To achieve this look, do the following: • If you have flat or pointy nails, take a file to make them round. 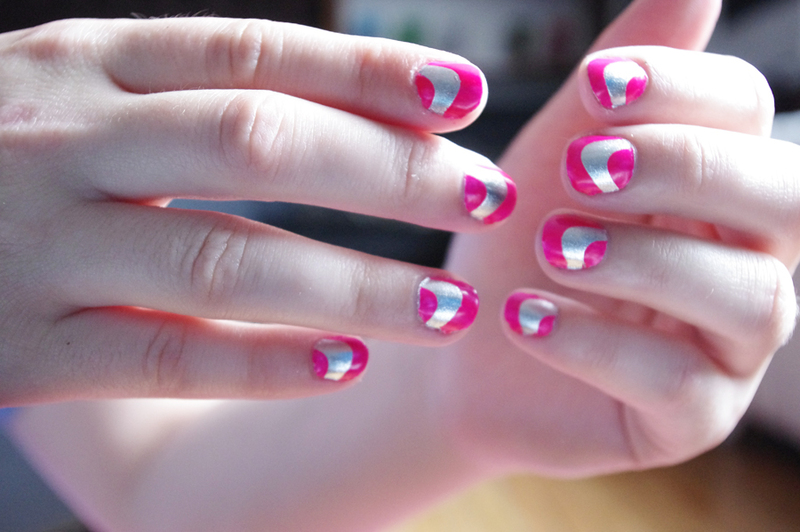 You can start with the sides of your nail and work your way towards the middle. If you start in the middle, you may shave too much off and also give yourself a flat looking nail. You can also buy rounded nail tips and glue them on your natural nails. 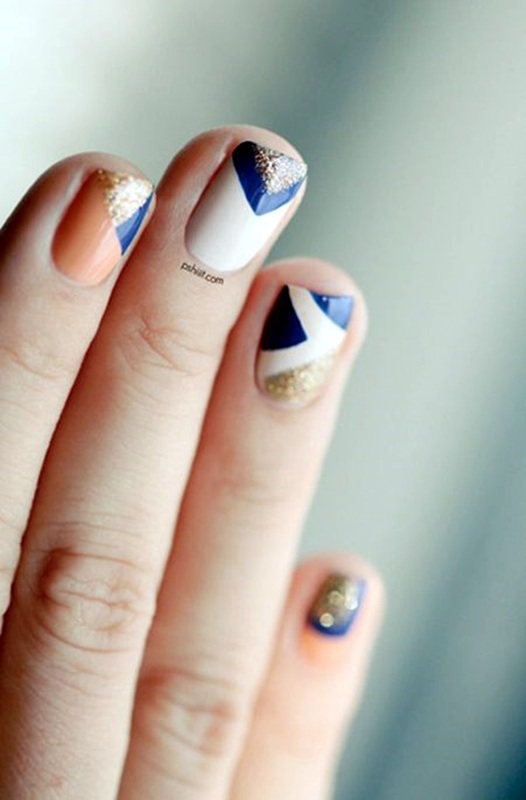 • Next, draw a V-shape on your nail tip and fill in with white polish. 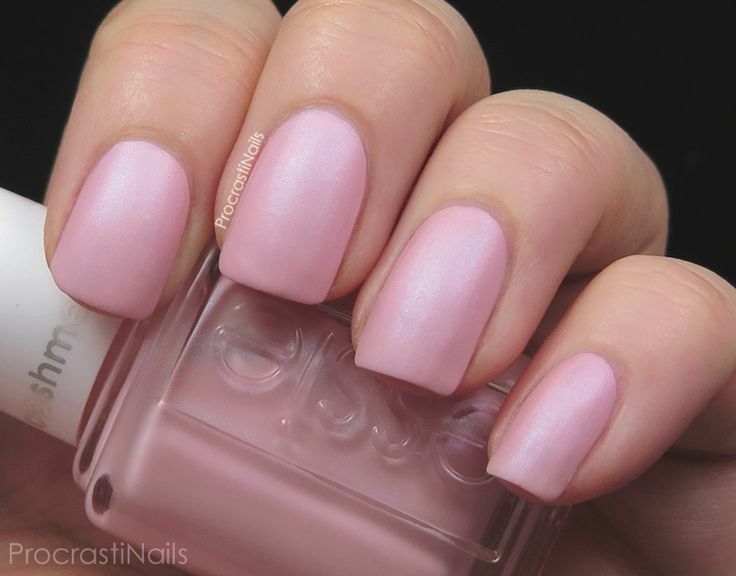 Make sure that the point is right in the middle of your nail, otherwise it won't be symmetrical. 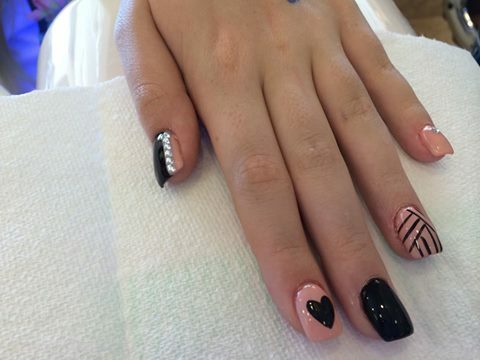 Simple nail designs are often symmetrical in nature. • Taking a nail art brush, carefully outline your white tip with burgundy. 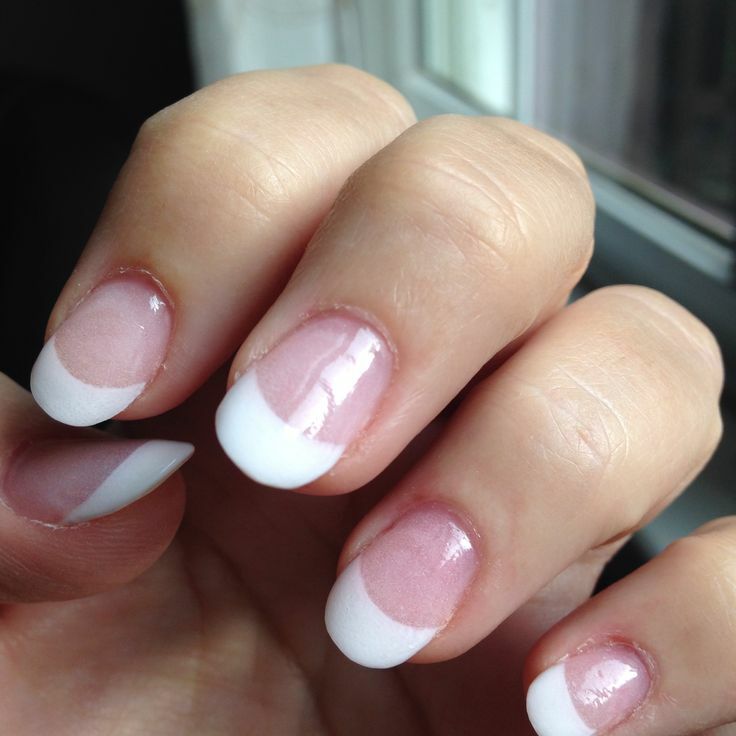 Start on the left side of your nail and follow the edge of the white nail tip to the middle. Don't stop there. Extend your burgundy just a little beyond the white center. Repeat on the opposite side. You do not want to start in the middle. If you notice in the picture, the line starts off thick and gets thinner as it reaches the middle. So, you want to start on the left side of your nail and work your way to the center, also. Essentially, you are drawing a burgundy X over your white nail tip. Do not worry if your X does not lie perfectly over your white nail tip. With this simple nail design, it doesn't matter. • This design is a naturally raw look. This means that using clear polish is optional. 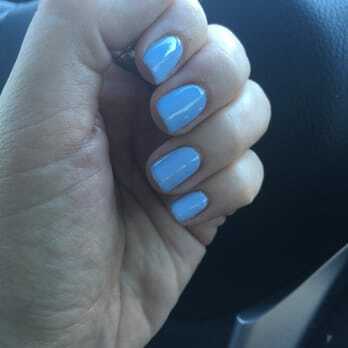 The advantage of using clear polish is that it protects your simple nail designs. However, if you are going for a natural look, consider leaving out this final step. Tema Sederhana. Gambar tema oleh wibs24. Diberdayakan oleh Blogger.